Yes, we’re getting our third Spock thanks to the CBS All Access show. But that’s O.K., because he’s probably going to be pretty different from the Vulcan you know. Yes, the beloved Vulcan — and cultural icon — originally brought to life by Leonard Nimoy will be appearing in the second season of Discovery. CBS has announced that actor Ethan Peck will play this version of Spock, a younger take on the character since Disco is set about 10 years before the events of The Original Series. Indeed, Season 2 of Discovery will also feature Anson Mount as Captain Pike, the captain of the USS Enterprise from the first, unaired Star Trek pilot “The Cage” from before William Shatner joined the show as Captain Kirk. Of course, Zachary Quinto also brought his own spin to Spock in the J.J. Abrams rebooted Star Trek movies. When the first of those films debuted in 2009, the big question among fans — and surely, the filmmakers as well — was whether or not recasting such seminal characters as Kirk, Spock, Doctor McCoy and the rest could work. As it turns out, audiences accepted the new versions of the USS Enterprise crew, and Abrams and his writers (including Alex Kurtzman, current showrunner of Discovery and CBS’ Trek mastermind) were careful to imbibe their take on the characters with some new and appealing traits. 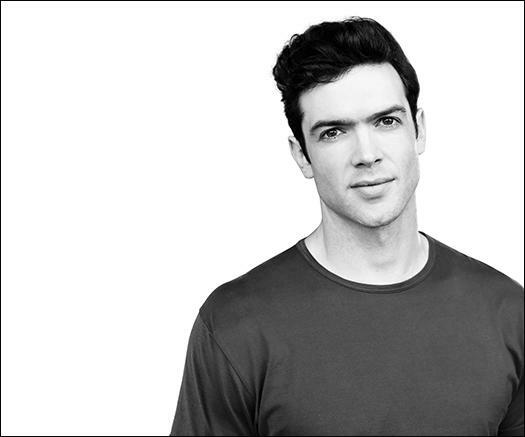 Ethan Peck will play Spock on Star Trek: Discovery. All of which is to say, if one is willing to look past the idea of recasting Spock — and let’s face it, no one can replace Leonard Nimoy — it is possible to mine the character for dramatic purposes not previously tackled. Of course, it’s not easy (again, see those other two Abrams movies) and it will obviously require some strong writing, but bringing in the “Cage”-era Spock does offer some tantalizing opportunities. Fans know that the Spock from that episode is quite different from the version that eventually solidified in the early first season of The Original Series. Serving as Science Officer of the Enterprise but not yet First Officer, this sort of junior Spock is more emotional and quite shouty (“THE WOMEN!”). He famously smiles when encountering a bunch of odd, noise-making space flowers, and he also has an unexplained limp (which could be attributed to events referenced in the episode… or could be fleshed out on Discovery to be something else entirely). Essentially, the Spock of this era — and make no mistake, Discovery is set in the mainline reality of The Original Series — is less formed than the Nimoy Spock of Captain Kirk’s five-year mission. It’s easy to imagine him as the 23rd century’s version of a 20-something who’s still searching for himself but not quite there yet… albeit a 20-something who happens to be half-human, half-alien. We can fill in much of what’s going on with him simply from the extensive back story he has received over the years, including on Discovery Season 1 where we learned that the show’s main character, Michael Burnham (Sonequa Martin-Green), is the Vulcan’s heretofore unrevealed adopted sister. As it turns out, her story is very intertwined with her younger brother’s, as the reason she joined Starfleet is because her place at the Vulcan Expeditionary Group was saved for Spock by their dad Sarek (a long, crappy story for her). And as we know, Spock turned that down anyway and went and joined Starfleet too, against Sarek’s wishes. Surely this will all come into play in Season 2 of Discovery. How do Michael and Spock feel about each other now? Is there a reason Spock never talked about Michael in later Treks? What is the dynamic like between Spock and Captain Pike, a relationship little explored on the screen previously? There’s a lot to explore here. Yes, it’s fair to ask whether or not we really need another Spock at all. And not a few fans have puzzled over Discovery’s insistence at recycling characters and concepts from classic Trek. But this is what we’ve got to work with at this point, and the bottom line is the first season of Star Trek: Discovery was pretty great despite this tendency. At this point, we’re stuck with Spock #3 whether we like it or not. So we might as well give him a chance. It’s only… logical. * Yes, I’m fully aware that there have been more than three actors who have played Spock in bit parts, including the baby Spock in The Final Frontier, child Spock in The Animated Series and Star Trek 2009, the zombie/horny Spock in The Search for Spock, and so on.